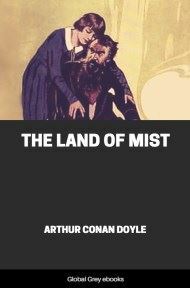 The Land of Mist is the third novel in the Professor Challenger series, although it centres more on his daughter Enid and his old friend Edward Malone. 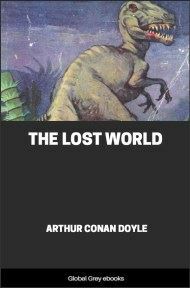 Another friend from The Lost World, Lord John Roxton, is also involved in the novel's second half. Professor Summerlee, who has died of old age around this time, is referred to by the mediums (much to the anger of Professor Challenger). 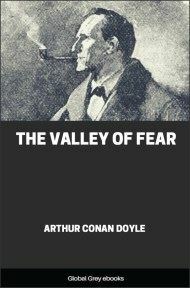 Heavily influenced by Doyle's growing belief in Spiritualism after the death of his son, brother, and two nephews in World War I, the book focuses on Edward Malone's at first professional, and later personal interest in Spiritualism. THE great Professor Challenger has been —very improperly and imperfectly —used in fiction. A daring author placed him in impossible and romantic situations in order to see how he would react to them. 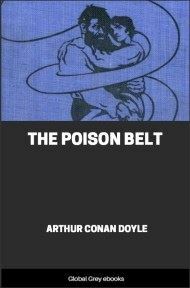 He reacted to the extent of a libel action, an abortive appeal for suppression, a riot in Sloane Street, two personal assaults, and the loss of his position as lecturer upon Physiology at the London School of Sub-Tropical Hygiene. Otherwise, the matter passed more peaceably than might have been expected. But he was losing something of his fire. Those huge shoulders were a little bowed. The spade-shaped Assyrian beard showed tangles of grey amid the black, his eyes were a trifle less aggressive, his smile less self- complacent, his voice as monstrous as ever but less ready to roar down all opposition. Yet he was dangerous, as all around him were painfully aware. The volcano was not extinct, and constant rumblings threatened some new explosion. Life had much yet to teach him, but he was a little less intolerant in learning. There was a definite date for the change which had been wrought in him. It was the death of his wife. That little bird of a woman had made her nest in the big man's heart. He had all the tenderness and chivalry which the strong can have for the weak. By yielding everything she had won everything, as a sweet-natured, tactful woman can. And when she died suddenly from virulent pneumonia following influenza, the man staggered and went down. He came up again, smiling ruefully like the stricken boxer, and ready to carry on for many a round with Fate. But he was not the same man, and if it had not been for the help and comradeship of his daughter Enid, he might have never rallied from the blow. She it was who, with clever craft, lured him into every subject which would excite his combative nature and infuriate his mind, until he lived once more in the present and not the past. It was only when she saw him turbulent in controversy, violent to pressmen, and generally offensive to those around him, that she felt he was really in a fair way to recovery. Enid Challenger was a remarkable girl and should have a paragraph to herself. With the raven-black hair of her father, and the blue eyes and fresh colour of her mother, she was striking, if not beautiful, in appearance. She was quiet, but she was very strong. 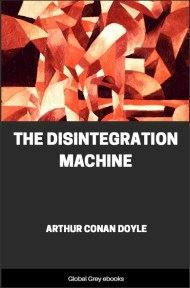 From her infancy she had either to take her own part against her father, or else to consent to be crushed and to become a mere automaton worked by his strong fingers. She was strong enough to hold her own in a gentle, elastic fashion, which bent to his moods and reasserted itself when they were past. Lately she had felt the constant pressure too oppressive and she had relieved it by feeling out for a career of her own. She did occasional odd jobs for the London press, and did them in such fashion that her name was beginning to be known in Fleet Street. In finding this opening she had been greatly helped by an old friend of her father —and possibly of the reader —Mr. Edward Malone of the Daily Gazette. Malone was still the same athletic Irishman who had once won his international cap at Rugby, but life had toned him down also, and made him a more subdued and thoughtful man. He had put away a good deal when last his football-boots had been packed away for good. His muscles may have wilted and his joints stiffened, but his mind was deeper and more active. The boy was dead and the man was born. 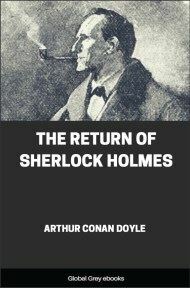 In person he had altered little, but his moustache was heavier, his back a little rounded, and some lines of thought were tracing themselves upon his brow. Post-war conditions and new world problems had left their mark. For the rest he had made his name in journalism and even to a small degree in literature. He was still a bachelor, though there were some who thought that his hold on that condition was precarious and that Miss Enid Challenger's little white fingers could disengage it. Certainly they were very good chums. It was a Sunday evening in October, and the lights were just beginning to twinkle out through the fog which had shrouded London from early morning. Professor Challenger's flat at Victoria West Gardens was upon the third floor, and the mist lay thick upon the windows, while the low hum of the attenuated Sunday traffic rose up from an invisible highway beneath, which was outlined only by scattered patches of dull radiance. Professor Challenger sat with his thick, bandy legs outstretched to the fire, and his hands thrust deeply into trouser pockets. 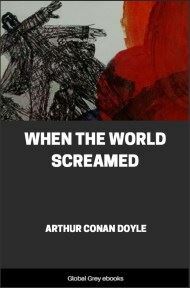 His dress had a little of the eccentricity of genius, for he wore a loose-collared shirt, a large knotted maroon-coloured silk tie, and a black velvet smoking-jacket, which, with his flowing beard, gave him the appearance of an elderly and Bohemian artist. On one side of him ready for an excursion, with bowl hat, short-skirted dress of black, and all the other fashionable devices with which women contrive to deform the beauties of nature, there sat his daughter, while Malone, hat in hand, waited by the window. "I think we should get off, Enid. It is nearly seven," said he. They were writing joint articles upon the religious denominations of London, and on each Sunday evening they sallied out together to sample some new one and get copy for the next week's issue of the Gazette. "It's not till eight, Ted. We have lots of time." "Sit down, sir! Sit down!" boomed Challenger, tugging at his beard as was his habit if his temper was rising, "there is nothing annoys me more than having anyone standing behind me. A relic of atavism and the fear of a dagger, but still persistent. That's right. For heaven's sake put your hat down! You have a perpetual air of catching a train."